Asheville, NC has all the elements that make for superb road biking—a year-round riding climate, varied terrain, scenic backroads that see light automotive use, and a cycling friendly population. 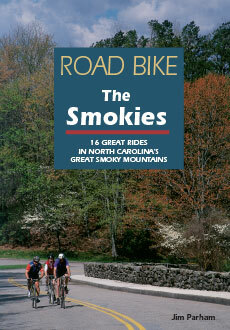 Champion cyclist Greg Lemond has called Asheville’s “Land of Sky” one of the best training locations in the world. 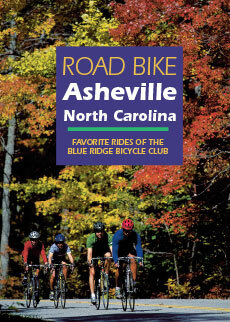 In this guide, the Blue Ridge Bicycle Club offers 16 of the best routes in the Asheville area, ranging from 8 to 64 miles in length. 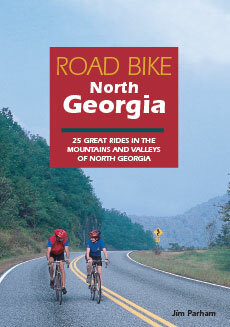 Choose a 50-mile tour to a great bakery in Saluda, an eight-mile cruise ending at a lovely rose garden, or a metric century that passes by the historic home of poet Carl Sandburg near Flat Rock. Each route description includes everything you need to pick your ride, with complete directions, detailed map, elevation profile, road surface conditions, difficulty rating, points of interest and services available along the way. The Blue Ridge Bicycle Club represents the vast majority of cyclists in the Asheville area, and between its members have long been riding the roads of the region. Established in 1974, the club organizes weekly rides and is involved in bicycling advocacy both on and off the road. Its annual “Hilly Hellacious Hundred” ride is held in August.